March 26, 2019 at Cox South Hospital in Springfield, Missouri. ticket holder for many years, making the drive to Fayetteville from Republic regularly. that he was also preceded in death by Sooie, his beloved dog. great-grandchildren: Kaiya, Jakahri, and Carter. Funeral services will be held at Macedonia Baptist Church on Saturday, March 30, at 10 AM. 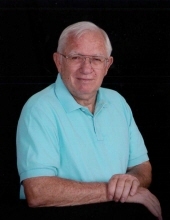 Visitation will be held at Meadors Funeral Home in Republic, MO. on Friday, March 29 at 6 PM. To send flowers or a remembrance gift to the family of JIM DALE MURPHY, please visit our Tribute Store. "Email Address" would like to share the life celebration of JIM DALE MURPHY. Click on the "link" to go to share a favorite memory or leave a condolence message for the family.